rad Garrett gained our attention on the hit nationwide television show, "Everybody Loves Raymond", as the straight forward abnormally tall bigger brother of show star, Ray Ramono. His dry comedy and familiar melancholy look has found its way into Sin City in the form of his new Las Vegas comedy club located at the Tropicana Hotel and Casino on the Las Vegas strip. Since the doors flew open, many who are loyal fans of the popular comic have themselves in seats surrounding the comedy stage waiting for the next up and coming or seasoned comedian to hit the stage and leave them all in stitches. The bonus of the night may be Garrett himself stopping by and gracing the crowd with the comedy antics that most came to see. "I've always wanted to be a comedian" says Garrett. "It's knowing where you wanna be". The talented and funny comedian has longed for a comedy club in Las Vegas and now it's here for all to enjoy. If you stop by on the right night, you'll even notice that your doorman looks a lot like Brad Garrett. He's known for standing at the entrance of his Las Vegas comedy club and greeting the anticipating guests as they arrive for the next show. "I am very hands on" Says Garrett. 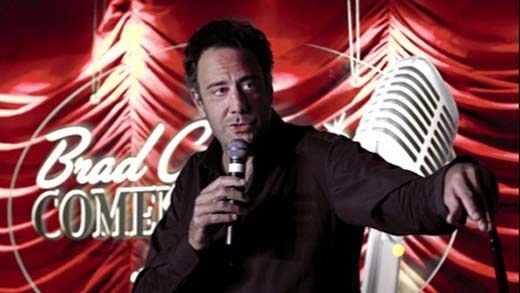 Once you arrive in Las Vegas, make sure you arrange to catch a show at Brad Garrett's Las Vegas comedy club. He only showcases the best comedy in the game and works to make sure that you'll want to come back for more!